I love the fact that years ago people were thinking 50 years ahead, but is it enough? There’s almost a week to go until the end of September but today really is #SOLS day. Today’s view from my pulpit is, once again, about transport. Is it too much of a theme. I’ve written a couple of times in recent weeks about transport in South West London. I’ve never lived in any other part of the city so I can’t comment on issues elsewhere. Although, as I previously noted, I commute into Britain’s business station, so I feel a certain amount of attention is needed in this part of the world. South London is woefully underserved by London Underground with 250 stations north of the Thames and just 29 south1. So, for those of us South West, the major transport options are main line services into London Waterloo; trams if you’re heading around Croydon or the “misery” Northern Line2 through to the City or West End. Back in 1974 I don’t think I could point to London on a map (being about 4 years old at the time) but somebody, somewhere, decided that about 50 years later a Chelsea-Hackney underground line might be a good idea and so started a process that leads to this day3. The line is predicted to allow 270,000 more people to travel into the central London the morning rush hour. This is equivalent to about 10% of the current capacity into London. It’s really quite a lot. The scheme will also “unlock 200,000 new homes”5. That also seems like a big number equating to a lot of new houses. But it also seems like room for a lot of new people because we need houses for the growing London population. If a good proportion of these new houses are near the Crossrail 2 route then it should be assume that some of the people will utilise the route for their commute, after all, why not take the shiny new trains into the office? So, if each of those houses has at least one occupier and half of those people use the new train for a commute then we have 100,000 additional south west journeys. Much of the new capacity is used-up instantly. And, assuming a single occupier properties seems on the conservative side don’t you think? I love the fact that years ago people were thinking 50 years ahead and started to make plans. I love the fact the Mayor is promoting the project as a strategic plan. But, is it enough? 4 What is Crossrail 2? #SOLS is a project to get me writing on this site in 2017. You can read more about it in an entry from the start of the year. Recently, a few of the pieces have been about transport in South West London but can also see what else I have written about in the #SOLS index. Author jonPosted on September 24, 2017 November 23, 2017 Categories TransportTags london, sols, South West Trains, South Western Railway, transport, transportation, WaterlooLeave a comment on New People. New Trains. Why isn’t country music bigger in the UK? Chris Country is automated in a way that gives the station a personality that shines through. I just wrote a thing on Facebook (and copied here) about the launch of Atlantic 252 on 1 September 1989. People of a certain age remember it fondly because, at the time, there was nothing quite like it. Each year, somebody posts a memory somewhere online. I first did in it in 2004. Nobody, however, seems to commemorate the launch of Country 1035 on 1 September 1994. I tweeted a link to my copy of the launch audio earlier. You’ll notice it doesn’t really launch with a big bang. I may have a copy of the opening words but I don’t remember a great deal about the radio station. I do recall John Scragg was the breakfast show presenter at one time and Capital Gold’s Randall Lee Rose was on air in the early days. I never quite understood why there wasn’t a big country music station in the UK. The format has a large following, most of the early local stations carried a country music programme at some point. I recall Steve Penk was the presenter of Country Cousins on Piccadilly in the early 1980s. Until recently, nobody has been able to make a big country music franchise work. Chris Country, “the UK’s country station”, might be the format that changes that. I find myself increasingly listening to it which, given my general dislike of automated stations, is quite interesting. I think mainstream country music today has a clear rock/pop crossover which might be part of the appeal but the stories of heartbreak and hard drinking don’t seem to be any different from the music of years ago. Perhaps I just love a good story told through song. Chris Stevens, who runs Chris Country, produces audio imaging as a day job. Perhaps that’s why the branding and sound of Chris Country is so good. There are no live presenters, a couple of recorded shows at weekends and everything else is automated. But it is automated in a way that gives the station a personality that shines through. I can’t really explain it but I wish they teach it to other predominately automated radio stations: Hearst 80s are you listening? 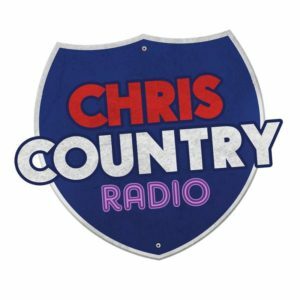 If you don’t think you like country music, give Christ Country an try (on DAB in some areas and across you mobile everywhere). In the spirit that this blog is home to content posted elsewhere, I wrote this earlier on Facebook. I don’t remember the pirate radio ships of the 60s; my introduction to the world of the wireless came from the back of an AA Member’s Handbook where all Britain’s local radio stations were listed. In 1979 that list was probably fewer than two pages. The majority of UK radio listening was to national networks and the BBC hand a monopoly on those. The English service of Radio Luxembourg suffered on AM at night. It was only ever “the great 208” when I was on holiday in France, being the only English language radio station I could find. Local radio was made up of a handful of BBC stations in a fairly random collection of towns and the fledgling Independent Radio Network. Where I lived, BBC Radio Blackburn (from 1981, Radio Lancashire) was our nearest BBC local and Piccadilly from Manchester and Radio City from Liverpool vied for their place as the North West’s biggest station. When I was nine years old, Piccadilly won because the Pete Baker breakfast show had the best jingles. Today, with wall-to-wall pop hits on TV and radio channels (as well as all the world’s music available in a single app or on-demand videos from YouTube), it’s unimaginable that until 1988 needle time rules prevented broadcasters playing more than a few hours of recorded music. All radio was filled with speech and specialist programmes, or royalty free soundalike covers. In 1984 somebody took a ship with a transmitter on it out into international waters in the North Sea and launched a 1980s version of the pirates, Laser 558. By then I was living in Shrewsbury and the signal was just about strong enough. Outside of the music rules – and really, outside of most of the broadcast law – it played non-stop pop hits for most of the day. Sadly, it didn’t last long. In 1989 the Irish state broadcaster, RTÉ, teamed up with the Radio Luxembourg owners, RTL, to create a pop music station with a powerful AM transmitter that reportedly could reach over 40 million people. On 1st September 1989, from somewhere in Ireland, Atlantic 252 launched an all-day pop format which was unique: there was nothing quite like it on the air. You know the station had an impact because, on this day each year, somebody, somewhere, writes a note about it to commemorate the day. I first did it in 2004 but I see no reason not to do it again. I guess the station’s peak was the early 1990s. By the mid-90s radio across the UK was able to play more and more music and FM was everywhere. It didn’t stop people launching AM stations. On this day (1st September) in 1994, Country 1035 launched on AM in London and lasted a few years (also, in later years, with input from RTL). It doesn’t seem to have had quite such an impact because you don’t find too many people commemorating that launch each year.